‘Tis the season. No, we’re not talking about the holidays. It is that time of year when CMS issues their final rulings, including the Quality Payment Program (QPP) a component of the Medicare Access and CHIP Reauthorization ACT (MACRA). 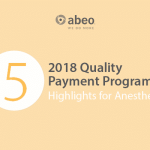 The QPP is CMS’ attempt at moving physicians from fee-for-service and towards pay-for-performance by penalizing or rewarding providers and practices through two major pathways, the Merit-Based Incentive Payment System (MIPS) or advanced Alternative Payment Models (APMs). 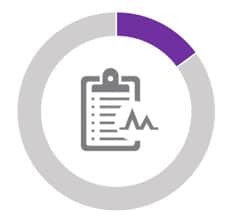 With a limited number of approved APM models and minimum requirements on the percentage of payments and patients that must be received through the APM, the vast majority of anesthesia providers are participating via the MIPS pathway. With the 2018 final ruling including few additions to the approved advanced APM models and a new requirement for at least 8% of physician reimbursements to be at risk to be considered as an APM, MIPS remains the recommended pathway for anesthesiology providers in 2018. 2017 is the first performance year of the QPP program, and as such CMS substantially reduced the reporting requirements to help transition providers into the new program. In year 2, CMS expands the program’s reporting requirements, exemptions, and incentives making the program both more comprehensive and flexible for practices in 2018. All four MIPS performance categories return in 2018, with the biggest change being the inclusion of the Resource Use category in the calculation of the final composite score. Figure 1 above outlines the performance category weights finalized for 2018. 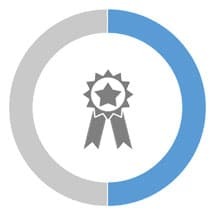 Each performance category is individually scored, weighted, and then totaled to assign the provider or group a Composite Performance Score between 0 – 100. Any provider or group who meets the minimum performance threshold, set at 15 points for 2018, will avoid the maximum penalty of 5% on 2020 Medicare Part B reimbursements. Exceed the threshold and there is a potential an upward adjustment with additional bonuses for performance scores of 70 points and above. 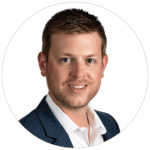 CMS seems to have finally taken the feedback from providers to heart, and in an attempt to increase flexibility and give small groups more time to transition CMS has increased the low volume threshold exemption. This change will likely exclude a much larger portion of small practices and solo anesthesiologists from participating in the program. 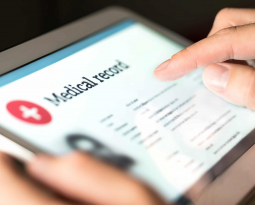 CMS also added another classification category covering providers and groups based entirely at free standing Ambulatory Surgery Centers (ASCs). ASC-based providers now receive the same Advancing Care Information reporting exemptions as their hospital-based counterparts, including retroactively to the 2017 performance period. A breakdown of all the exclusions and classifications is available below. 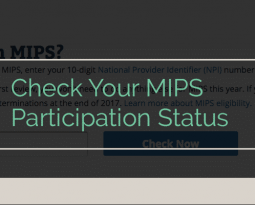 Be sure to check out CMS’ NPI look up tool at qpp.cms.gov after the start of the New Year to confirm which apply to you. Newly Medicare Enrolled: Providers in their first year of practice are exempt from MIPS reporting. Low Volume Threshold: An individual provider or group that has less than or equal to $90,000 in Medicare Part B allowed charges; or less than or equal to 200 Medicare patients during September 1, 2016 – August 31, 2017 will be excluded from the program for 2018. Non-patient Facing Providers: CMS will consider individual providers that have billed Medicare for 100 or fewer face-to-face encounters as non-patient facing. Groups can also be considered as non-patient facing if 75% of the NPI’s in their group bill for 100 or fewer face-to-face encounters. Hospital-based: An individual provider who furnishes 75% or more of his or her Medicare covered professional services during September 1, 2016 – August 31, 2017 in sites of service using Place of Service codes categorized as inpatient hospitals, on campus outpatient hospital, or emergency room settings. ASC-based: An individual provider who furnishes 75% or more of his or her Medicare covered professional services during September 1, 2016 – August 31, 2017 in sites of service using Place of Service code categorized as freestanding ambulatory surgery centers. The applicable anesthesia measures have gone relatively unchanged except for the addition of a pediatric prevention of PONV measure. *Denotes a Claims eligible measure. 2018 is the first year this category will come into play when CMS calculates the final composite score. CMS did drop the episode based measures for year 2 of the program and will only calculate performance on the Total per capita costs for all attributed beneficiaries and Medicare Spending per Beneficiary (MSPB) measures. Neither of which have applied to the majority of anesthesia groups in the past due to the beneficiary attribution process CMS utilizes. There is nothing specific for providers or groups to report for these measures, as CMS uses claims data to calculate scores. Should this category not apply, CMS will re-weight it to 0% and add the 10% weight to the quality category. Curious if these measures apply to you? Check your 2016 Quality and Resource Usage Reports and they will contain your group’s most recent scores, if available. These two measures have been calculated by CMS as part of the value based payment modifier since 2014. Few changes were made to this category for 2018. 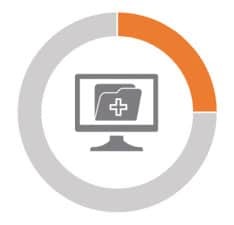 The minimum reporting requirements of use of a certified EHR technology, 5 base measures, and a 90-day performance period all remain. Most importantly providers and groups classified as any of the below are exempt from this category again in 2018. 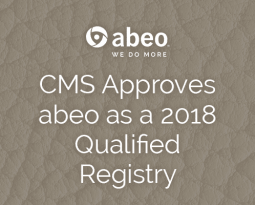 If exempt, CMS will automatically reduce the weight to 0%, and increase the weight of the Quality category by an additional 25%. A new category in 2017, most groups and providers are still navigating how to select and report these activities. CMS has added a few additional activities for 2018 and kept the minimum reporting period of 90 days the same. 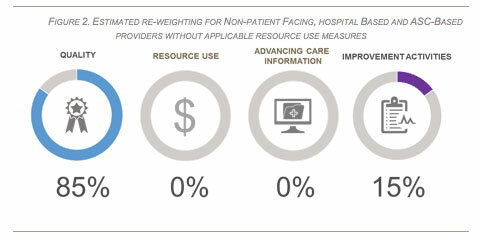 Also unchanged is the requirement to report either 2 high weighted or 4 medium weighted activities and for a provider or group considered non-patient facing the requirements are reduced to 1 high weighted or 2 medium weighted activities. Keep in mind that if reporting as a group, only one provider as to complete an activity for the entire group to get credit. This is a definite advantage to group reporting. While CMS has yet to unveil the reporting portal on their QPP website for attesting to these activities starting Jan 1, they have stated that it will require and EDIM account to do so. Learn more about how to apply for an account here and check back for additional posts as more details become available. 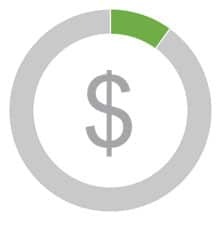 While the changes may not be substantial, CMS is steadily progressing towards their goal of full implementation of the Quality Payment Program by 2019. The expansion of the quality reporting period to 12 months starting January 1 and the increase of the minimum composite score threshold to 15 points are evidence of just that. 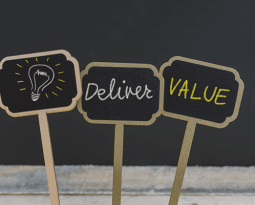 However, with Quality again weighted as much as 85% of your total score for most anesthesia providers the key take away is simple, reporting quality measures is paramount. 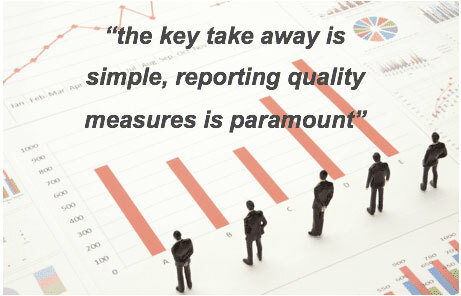 Satisfy the reporting requirements of the Improvement Activities category. Failure to do so could result in up to a 5% penalty on 2020 Medicare Part B reimbursements. 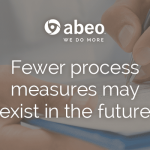 As always please reach out to your abeo client services manager with any specific questions and check back for updates. Download a PDF version of this overview here. Be in the know and sign-up to receive abeo alerts.